This GE Cafe Gas Cooktop provides 20,000 BTUs that are readily available on a Tri-Ring Burner for perfect searing and sautéing. 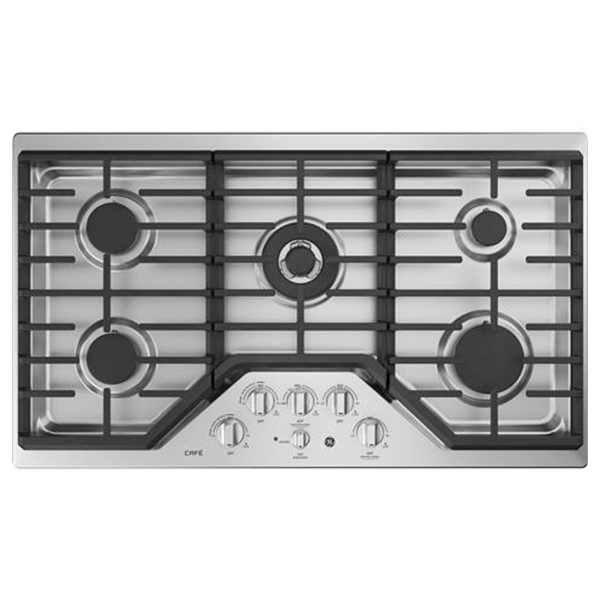 Use the Extra-Large, Integrated Cooktop Griddle for kabobs and the Precise Simmer Burner for a blow-their-socks-off Béarnaise. 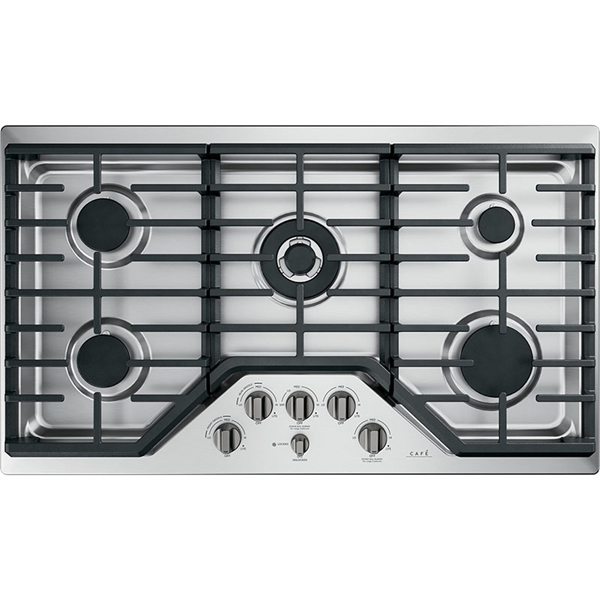 White LED Backlit Heavy-Duty Knobs and Heavy-Cast, Edge-to-Edge Grates give a professional panache to your kitchen.